On 1 May 2016, a fire broke out at the Serbian Orthodox Cathedral of St. Sava in Manhattan. Although the incident took place hours after Easter services, there were no reports of casualties at the time. The dome and the interior of the neo-Gothic building built in 1855 was completely burned out as a result of the fire which reportedly started after a temple keeper failed to put out the candles at the end of the Easter service. The restoration of the St. Sava Cathedral is currently under way. In the early hours of 25 December 2009, the Cathedral Church of St. Mel was destroyed by a fire which was thought to be caused a technical defect in the moth-balled heating furnace. The restored cathedral, which was built between 1840 and 1856, re-opened in December 2014. Located in the town of Longford in Ireland, the church is touted as the "flagship cathedral" of the Irish midlands region. On 28 July 2014, a massive blaze obliterated one of China’s oldest catholic cathedrals, located in the eastern seaport of Ningbo. The fire gutted the interior and the roof of the 142-year-old Jiangbei Sacred Heart Church, leaving the walls intact. The church was restored in 2018. A fire in the Cathedral of the Evangelical Lutheran Church of Finland in the city of Porvoo broke out on 29 May 2006. 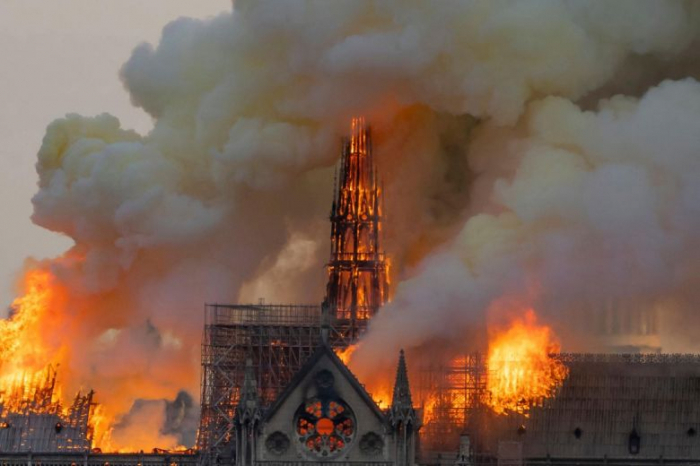 The 15th century building’s outer roof collapsed in the blaze, but the inner ceiling and the cathedral interior remained undamaged. An 18-year-old man was convicted of arson and sentenced to six and a half years in prison. The cathedral was reopened on 2 July 2008. On 25 August, 2006 the main dome as well as two smaller domes of the Trinity Cathedral in St. Petersburg, Russia collapsed in a fire which also seriously damaged the church’s interior. The blaze occurred during reconstruction work, which saw the scaffolding engulfed in flames. The cathedral was restored and reopened in 2010.